EPDM stands for Ethylene Propylene Diene Monomer. 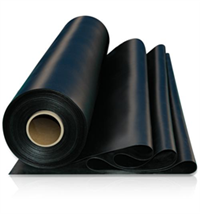 EPDM is a synthetic rubber it is highly resistant to UV, ozone and other atmospheric influences. In addition EPDM is known for its large and permanent flexibility. The material has more than 40 years of proven quality worldwide as a waterproofing material for flat roofs, ponds and other architectural applications.